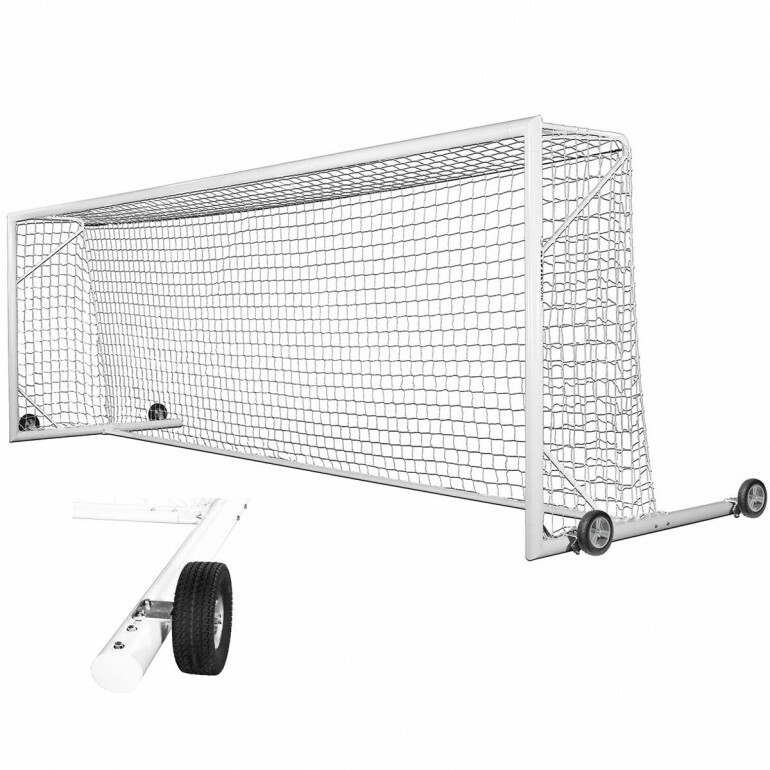 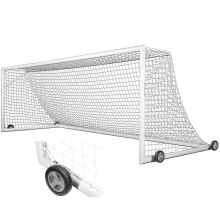 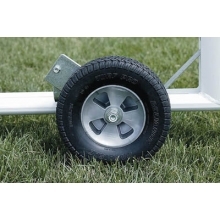 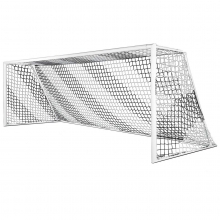 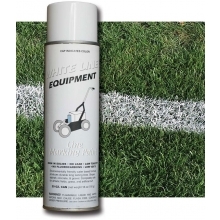 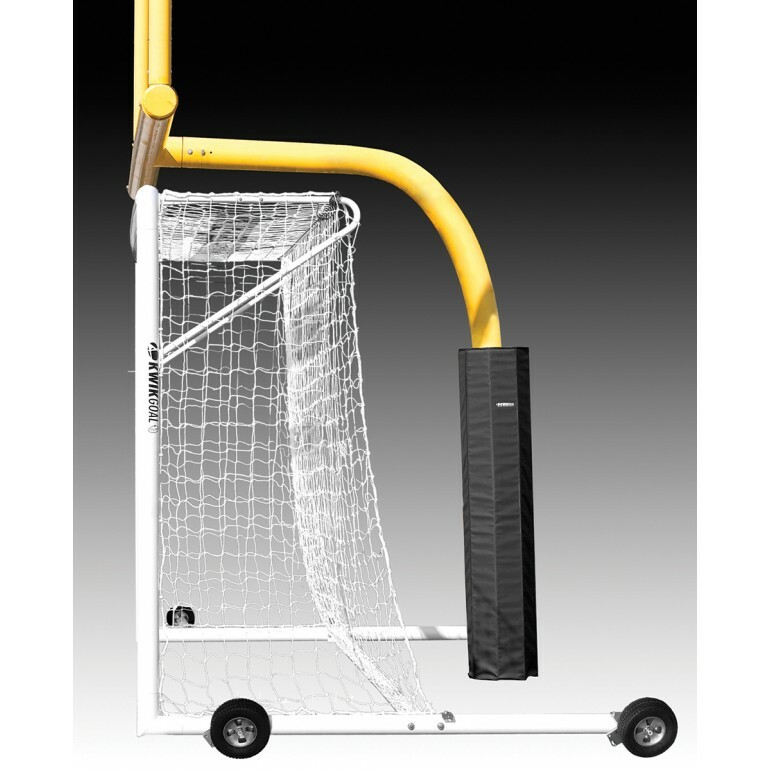 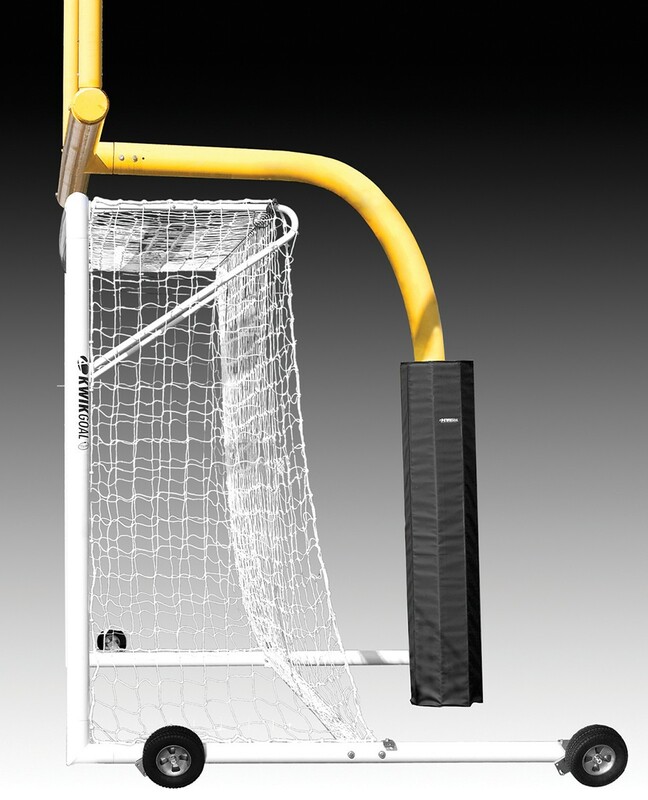 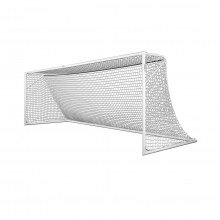 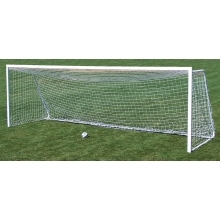 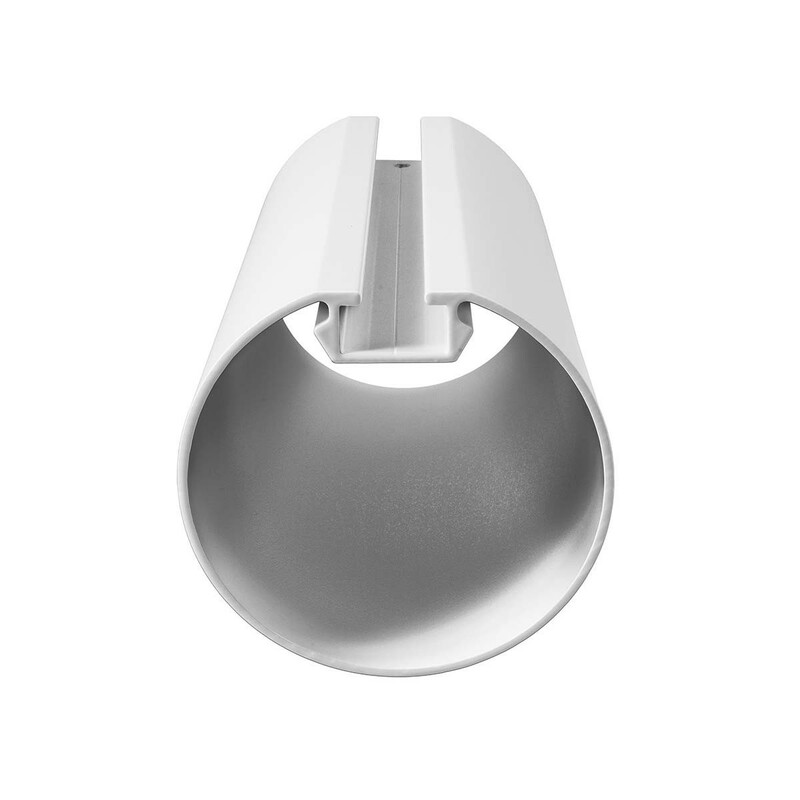 The Kwik Goal Fusion 120 soccer goal fits cleanly in front of your football goal post and features a strong all-aluminum construction. 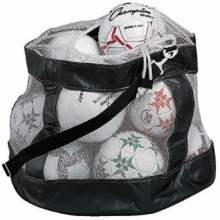 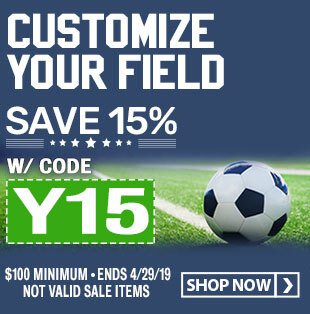 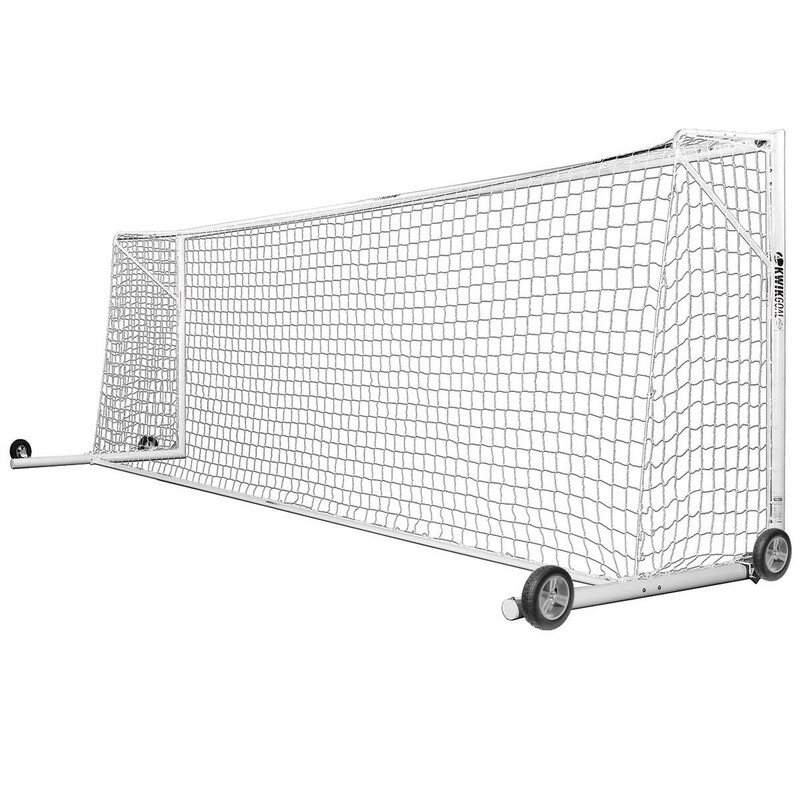 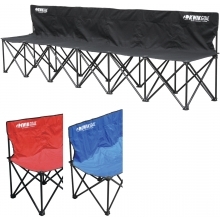 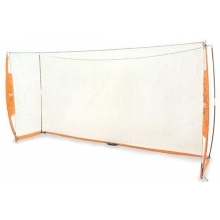 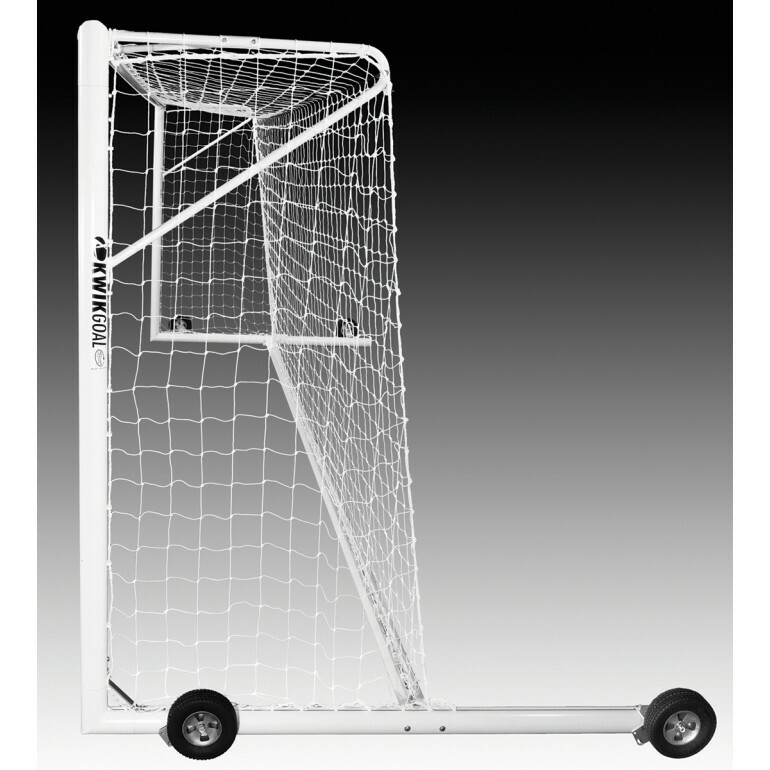 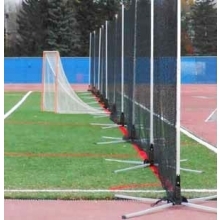 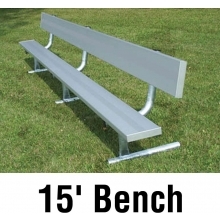 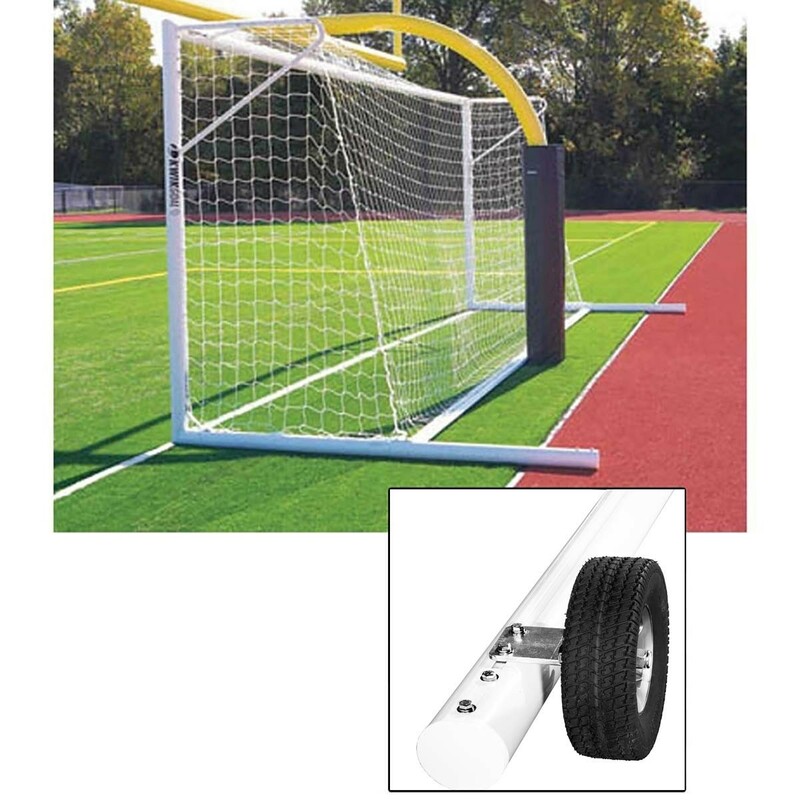 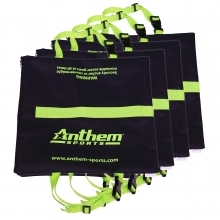 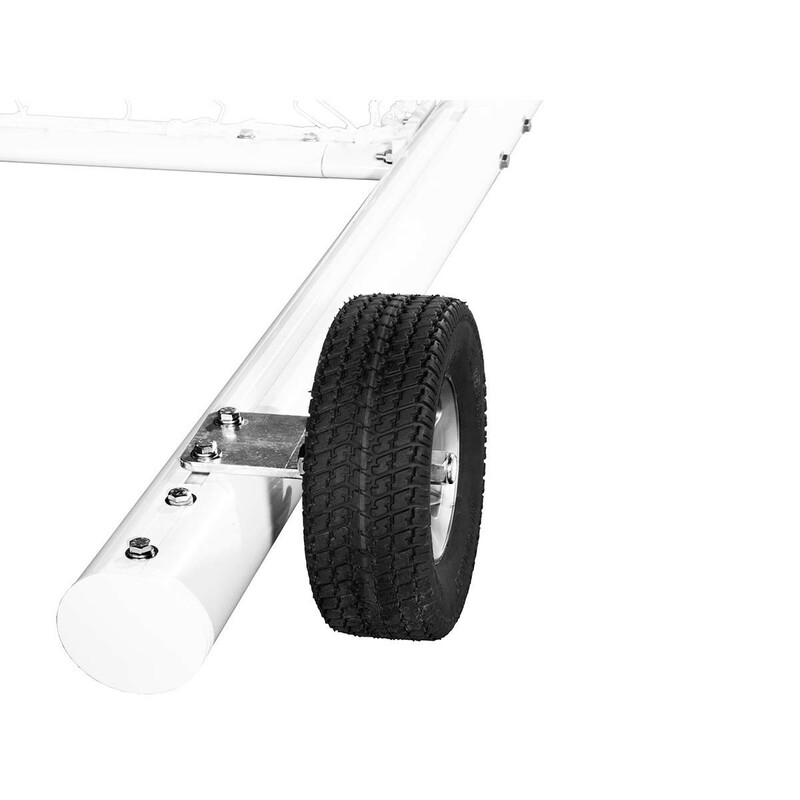 This goal exceeds NCAA and NFHS specifications and includes a 3mm, 120mm mesh, white net, a net support strap, Kwik Lock® net clips, 4 no-flat, flip-up tires, 4 semi-permanent ground anchors, and 6 saddle anchor bags. 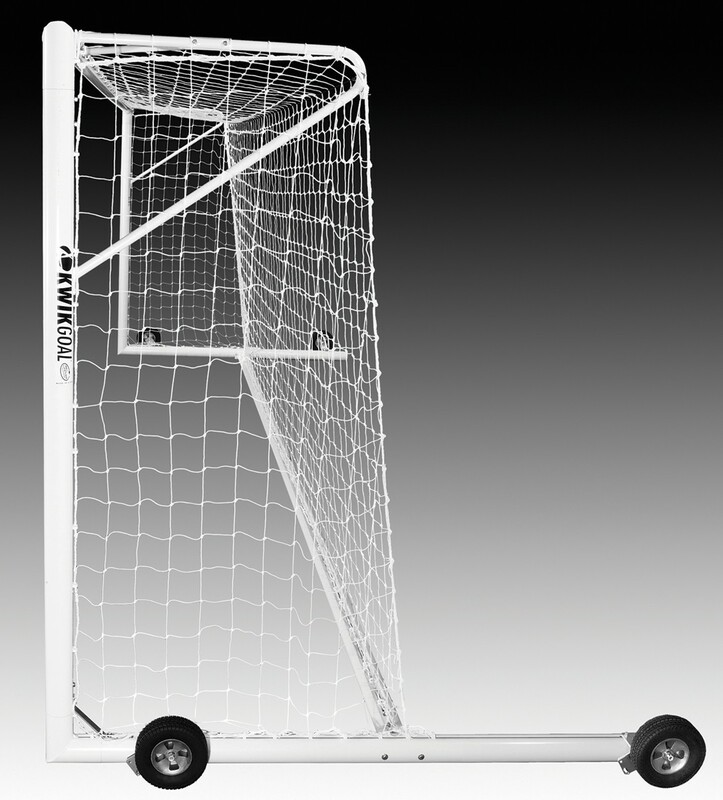 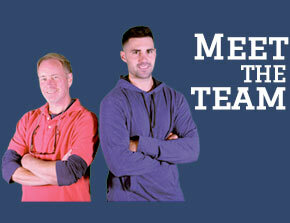 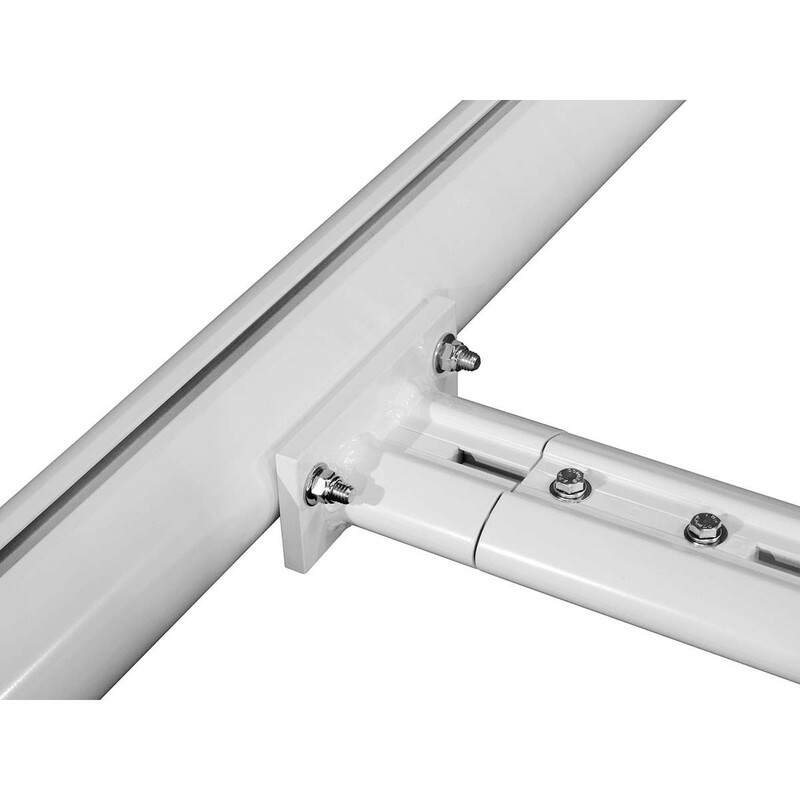 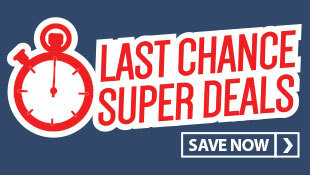 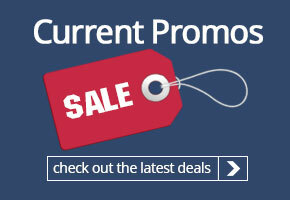 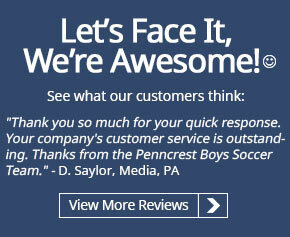 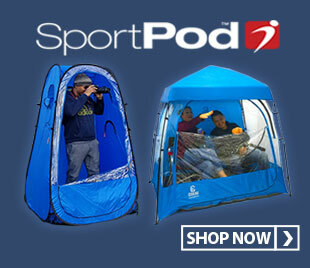 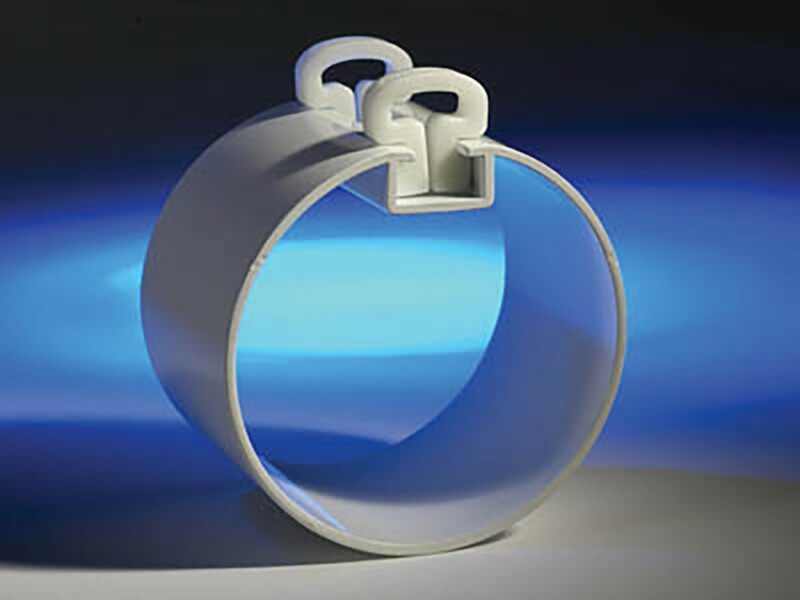 Like all Kwik Goal products, the Fusion 120 goal is backed by a lifetime guarantee.